– The Social Sciences section includes books on psychology, mass communication, literature, history, religious studies, languages, natural and pure sciences, sociology, cultural studies, arts, humanities and other general courses. 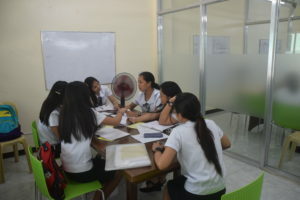 – The discussion room is used by the students upon reservation in the LRC Head Office for discussion and group study purposes. Reservation must be made a week before the scheduled time. Cancellation must be made two days so as to give others the chance to use the place. It comes on first come, first serve basis. Strictly no food and drinks are allowed inside. 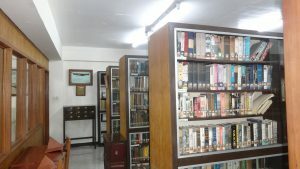 – This section houses books published from 1979 below in all subject areas like engineering, biology, mass communication, psychology and more. 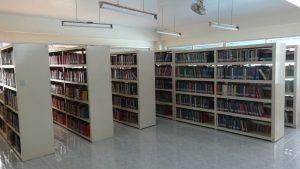 The bound periodicals are also placed in this section. – This section houses thesis and dissertations submitted by students from different colleges and graduate school programs. These are course requirements forwarded by the department chairs for research use of the student. These materials are intended for room use only. Photocopying is strictly prohibited. – The Filipiniana section consist of books and other resources about the Philippines, other resources about the Philippines, books written by Filipino authors and books printed in the Philippines. These materials are for room use only. 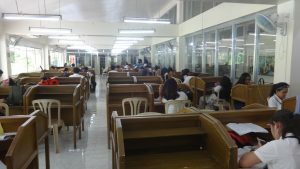 Faculty members can borrow Filipiniana books for one (1) week and renewable for another week for three (3) times unless called for by another user. 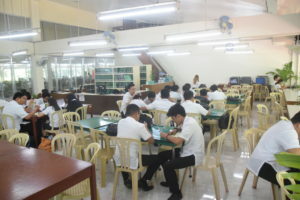 – In special cases, a student can borrow a book for classroom use only upon the request of the faculty. A written note from the concerned faculty is required before approval by the LRC Head. – The Negrosiana collection is about the local history of the Province of Negros. 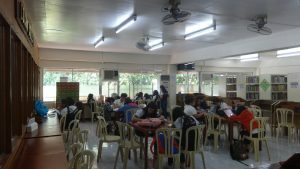 It consists of books, publications, brochures and other materials about Negros Oriental and Occidental mostly written by local authors and writers. 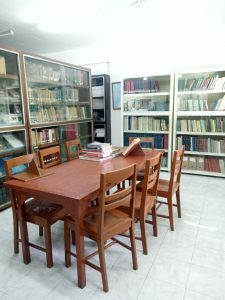 – The Don Carlos Locsin Collection includes 3,000 volumes of books on various subject areas like Philippine history, literature, politics and governments and more. It also includes rare materials that dates back to the early 1900’s. It has precious and informative collections and valuable publications are noteworthy due to its historical significance and content.